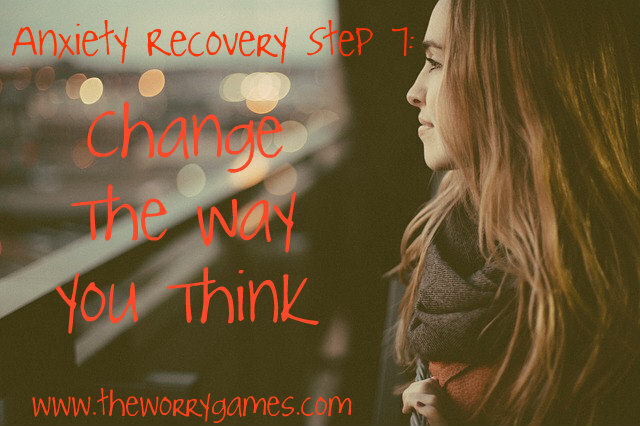 I discussed eliminating “What if?” thinking in a previous anxiety recovery step. 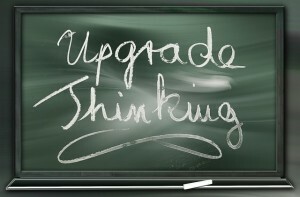 But to fully gain control of your life, your thinking changes need to extend a lot farther than just that. I hate to have to be the one to break this to you….but you are going to have to become a positive thinker. Saying that still leaves a bad taste in my mouth and I have been working on my positive thinking for years. I’m a negative person. I like being negative. I am comfortable being negative. 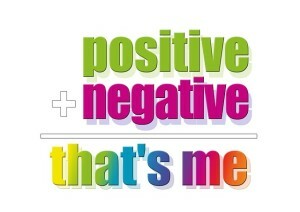 Being negative is the happy place of my subconscious and always will be. But you know, there comes a time when the party has to end, and you have to start thinking like a mature, emotionally responsible, capable person who takes their mental health seriously. The older you get, the more the negative consequences of all that negative thinking start to build and accumulate and when you don’t get rid of it, before you know it, you are dealing with anxiety issues and blood pressure problems and feelings of discontent about the overall state of your life. You have been indulging your worry compulsion for years…probably decades. You had a good run with it. 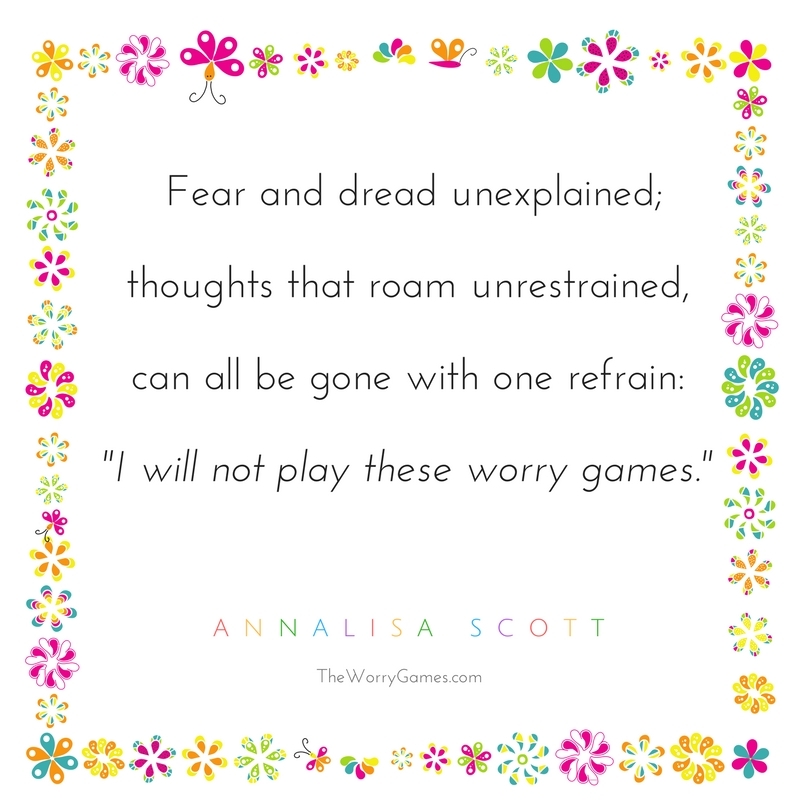 I bet if you think back, you can think of some amazing worry binges you went on that you will never forget. You fed that part of your personality well. You acknowledged it and paid it its due. You gave it everything you had, and sacrificed a great deal of your peace of mind and overall happiness to keep it satisfied. But now its time to say good-bye. You gave it every chance in the world, but that worry compulsion never did one single good thing for you. And now, not only is it not doing anything good for you, but its starting to make things bad for you. Its time to let it go and move forward with your life, and start doing things a new way. Now, in all honesty, it’s really not quite as awful as it sounds. When I say become a positive thinker, I don’t mean that you have to be a perky ray of sunshine, spewing rainbows all day long. We gotta be realistic here about who you are as a person. Worry compulsions are born from negative personalities and if you have a negative personality, there is nothing I am going to tell you that can completely change that. And why would you want it to? You are who you are..and you are awesome. 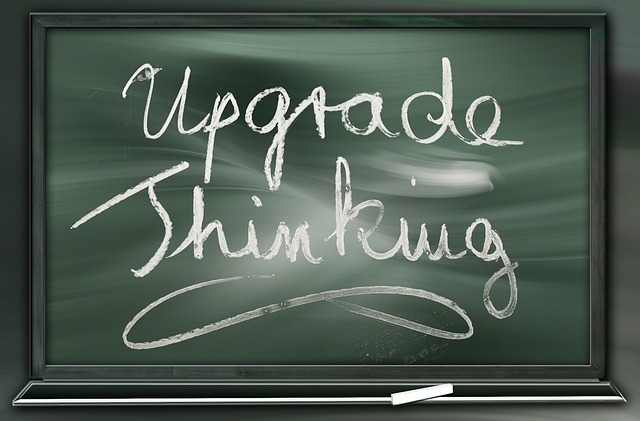 But that doesn’t mean we can’t make a few “tweaks” to your thinking patterns to get rid of the toxicity and add just enough positive thinking to get you back in control of your life again. Following are a few simple rules that are going to help get you on the right track. Rule 1: No more binge worrying. You can’t control the thoughts that come into your mind. The negative thoughts are going to pop in from time to time. A situation is bound to come up where you think “I can’t handle this” or “This is going to turn out bad.” But just because you have that thought, that doesn’t mean you get to grab a tray and head on up to the “Worry Buffet”. Instead, simply think the thought and do not give in to the urge to take it further. Think about something else! At first, you may think you cannot do it, but with persistence and dedication, you will find that you are more capable of doing this than you thought. Dealing with anxiety can be difficult for many people, no matter how old you are. But it is important to realise there are ways of dealing with it. For example, some people are prescribed the use of medical marijuana to help deal with the symptoms of anxiety. To make it easier for them, some have found that the use of products such as wax & dab pens have been beneficial to dealing with their anxiety, as it means they can easily carry medical marijuana with them anywhere they go, without worrying that it could spill in their bag. At least this is one solution to dealing with this condition. Just remember, there is always an answer and everything gets better with time. You’ll eventually find what works for you. I hear that ALL the time. And it’s not true. The problem is that you BELIEVE its true, so the thought you are trying to get rid of stays active and fresh in your mind. If you put some trust in me and just believe that your brain is not “broken” and works just like everybody else’s, and cannot get STUCK on a thought, your mind WILL move on to something else. It takes a little practice, but if you are consistent…..this works. Rule 2: Be positive about your negativity. Just because you are negative, that doesn’t mean that you can’t put a positive spin on your negative thoughts. Follow up every negative thought you have with a positive thought. If you are thinking “I can’t handle this”, ALWAYS follow that up with a positive response such as “Of course I can handle this. I am strong. I can do it.” If you do this often enough, it starts to become an automatic thinking pattern. You can create an entirely new, positive thinking habit, and all it takes is a little time and again, consistency. 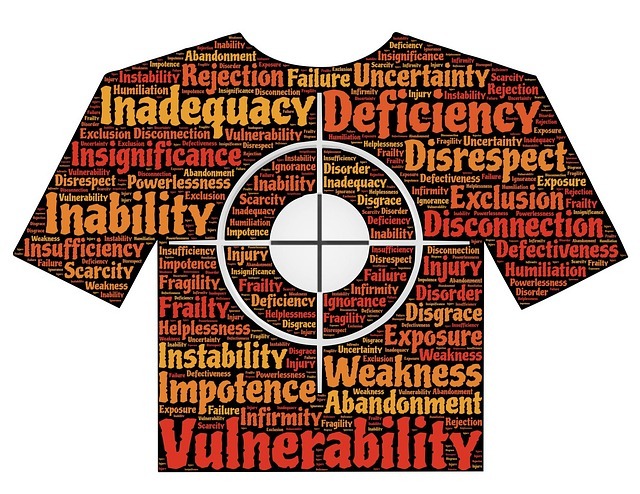 Rule 3: If you are the type of person to speak badly about yourself as in “I am a loser.” “Who would want to be friends with me?” “I am too weak to handle life.”…..that has to stop right this second. I know I always talk about self-love in this blog and I am going to talk about it some more right now. You have got to be your own best friend and have your own back. You have got to respect yourself and treat yourself with dignity. It is so easy to fall into that “self loathing” trap. I hear so much talk nowadays about how bullying is wrong and everybody should treat each other with kindness….but then I go on Twitter and 95% of the bullying I see is people bullying themselves! Why? I am baffled by this. Why would anybody talk to themselves this way? I just don’t get it. You tell yourself you are weak or a loser all day, and how you “can’t handle life”, and then wonder why you feel miserable and empty and anxious inside? Rule 4: You’ve got to make affirmations a regular part of your life from here on out. I know when people think about affirmations, the first thing that comes to mind, at least for my own middle aged crowd, is the guy from Saturday Night Live who looked in the mirror and said “….and gosh darn it, people like me!” But that’s okay because I love Stuart Smalley! I actually think I kind of AM Stuart Smalley. I hear him in things I say, and it cracks me up every time. 😉 Don’t be so quick to judge Stuart! He was on to something……..maybe just a little ahead of his time, is all. Affirmations are not lame, readers! They work! Doing daily, positive affirmations during my bad anxiety period, absolutely and completely changed my life for the better. Telling myself every single day that I love myself, and that I am “strong and capable”…. (I have said those words thousands of times to myself over the years) planted seeds that eventually took root and grew into actual beliefs. All it takes to love yourself is to believe that you do. All it takes to be strong and capable, is to believe that you are. And that belief has to come from you. Nobody else can give it to you . I remember being that young woman who was so weak and scared that didn’t believe anything good about myself. I remember reading my affirmation book and saying those positive words to myself and not meaning any of it. They were just words coming out of my mouth. Saying to myself “I am strong and capable”, only made me feel weaker in contrast. The idea of EVER being strong and capable was like science fiction to me. I felt it would take some kind of brain transplant for that ever to happen. But on an intellectual level, I knew that I had to change the way I talked myself whether I meant it or not. I knew that even if I WAS weak….telling myself that every day of my life wasn’t going to make it any better. I figured it was better to fake a little positivity than to keep dwelling on the negative, so I kept saying those affirmations….day after day, month after month and year after year and the more I did them, the more I believed them. It took a long, long time to clear out those negative thoughts and beliefs about myself. It took a lifetime to cement them so firmly in place…I had to do a lot of work, chipping away at them…..but I stayed committed to the process and I tried to trust that it would work. And it did. I don’t do my affirmations every day now, because I have my anxiety under control at this point, but also because I don’t NEED to. Give me any list of positive affirmations and I will say “Yep.” “I know that.” “I know that one too.” “Damn right.” I KNOW I am strong. I KNOW I can handle anything. I KNOW I am smart and capable. The thought of telling myself anything other than that is just kind of absurd to me. It feels completely unnatural. And if anybody else were to try to tell me I was weak or……whatever……. I simply wouldn’t care. 20 years ago, if anybody said anything negative about me, it would have haunted me for months. But now, it wouldn’t phase me at all. I know who I am. I like who I am. Other people’s words can only hurt you if a part of you believes what the other person is saying. I feel so strongly about who I am, that I would never believe anybody who tried to say I was anything less and I would immediately think that the person who was talking to me was a moron….. clearly not worthy of my time…… or very insecure and trying to use putting me down as a way to bring themselves up. Either way, I just don’t care and don’t have the time to be bothered with it. That gives me a great deal of power. I owe it to changing the way that I think. And the thing is that I always knew these positive things about myself. I think on some level most of us know we are strong. Human beings are designed to be strong. In my opinion, just the fact that we were born means we are strong and determined. Have you ever watched a human egg being fertilized? It takes a warrior to win that battle, readers…..and every single one of us won it. Don’t let the fact that you are no longer micro sized, and now have a completely formed brain which allows you to talk badly about yourself all day, make you forget how strong you are. 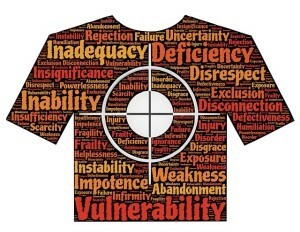 We need to clear out that toxic negative thinking to let our true beliefs about ourself rise to the surface. 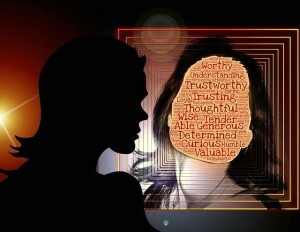 Affirmations are not brainwashing….not in the typical sense that you think of a “brainwashing”. You are making the conscious choice to plant these seeds because you want them to grow into something good to better your life. When all your negative thinking seeds got planted, you were probably too young to consciously decide if you really wanted to plant them or not. They kind of planted themselves like acorns…….and like acorns they grew into something massive, didn’t they? 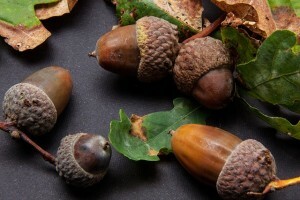 They grew into a huge, oak tree-sized worry habit. But the awesome news is that with some commitment and time and persistence, you can clear away all those massive self doubts and negative thought patterns that have been growing over the years and new positive beliefs and thought patterns will grow in their place. I cannot stress enough how much this will help your anxiety symptoms improve. Check out my Facebook page @TheAffirNation for some affirmation inspiration. Every week I share a new affirmation to work with and give you ideas on how to work with them in new ways. I know affirmations might feel silly…..they might feel “stupid’….but after a few times you will get over that feeling and they will become more comfortable for you, I promise. To wrap this up, I just want to say that I am a very pessimistic person and I always will be. No amount of affirmations is likely to ever change that. I like to expect the worst and then its a nice little surprise if things turn out for the best. However, I do not allow myself to dive into my pessimism and roll around in it like a pig in a puddle of mud. Instead, I now simply acknowledge the pessimistic thought, acknowledge that is how I feel about whatever situation I’m in ….and then tell myself that I can handle it however it turns out. l have become a “positive pessimist” . I’m pretty sure things are going to go bad, but if they do, I am positive I will be able to handle it just fine. And its made a huge change in my life. LouiseHay.com is a fantastic website full to the brim with all things positive thinking and affirmation related. I highly recommend checking it out! 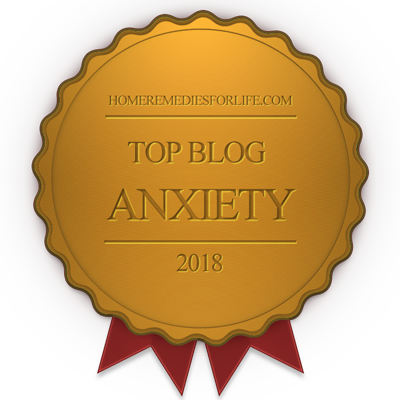 Click here to return to Anxiety Recovery Steps Main Page. I’ve just turned to your blog, well, this is the 2nd time in really digging deep into your blog. But you make me believe that I’m the controller of my new existing anxiety, which comforts me. Thank you for this blog and your information you are willing to share to help us! Thank you Rebecca, I am glad it helps. 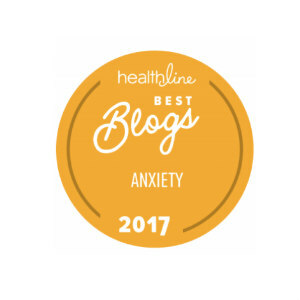 Keep reading whatever you can find about anxiety. It is your way out.